edge, cross a wooden bridge (2.2km) and keep left at the next couple of forks. A small sign indicates the foot- path to the beach; follow this through the dense sand-forest as you rootride the final half a kilometre to the beach. Best would be to plan your ride for low-tide as it gives you more beach to play with as you head either north towards the Moz border (6.9km), or wend your way merrily southwards. 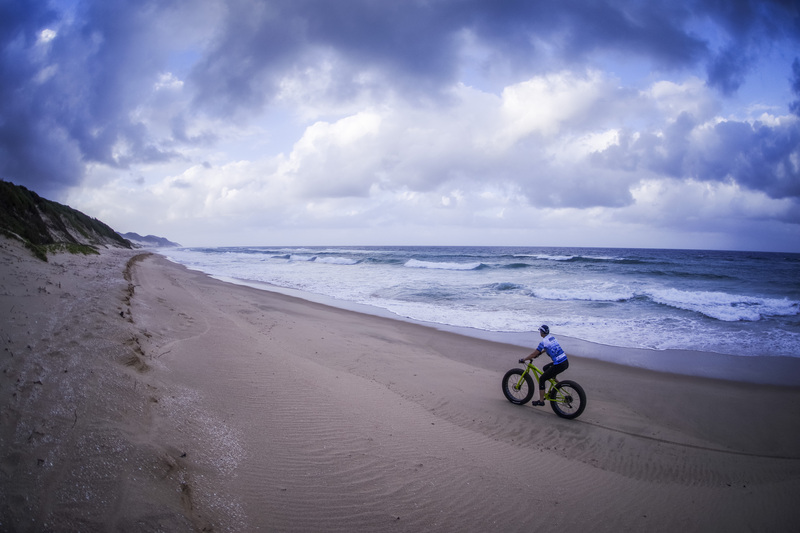 The iSimangaliso policy on cycling in the Kosi Bay section is currently under revision, but guided rides and solo trails should all be ratified by the time this goes to print. There are also a few singletrack trails to the left of the 4×4 track which will make for excellent fat-bike exploration on the vegetated dunes outside the Park. 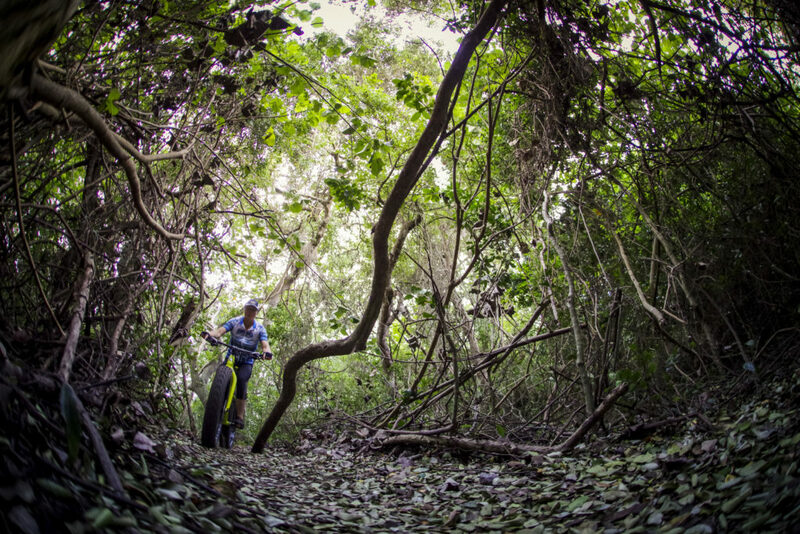 We checked them out on a trail run mission, and one can only hope that these routes will also be opened for riding. Your best bet is to chat to Ken at Utshwayelo, as he has all the info on what goes, both on and off the bike. One of our Favourite go to places in South Africa not only as a Family but as a Tour Operator as well ! Between the setting, surroundings, stunning Accommodation all round, friendly and welcoming Staff at Utshwayelo – it gets a 10 out of 10 from us for sure ! Definitely a worthwhile destination !